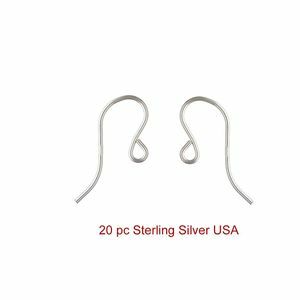 20 Sterling Silver French Hook Earwire. 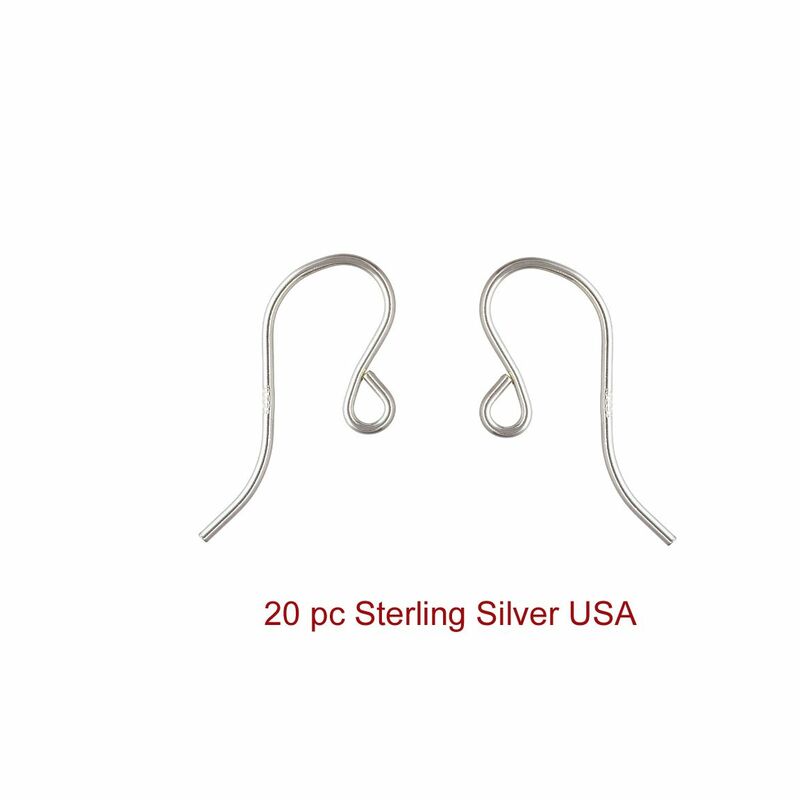 This plain ear wire is 19mm long from the top of the earwire to the tail. Made in the USA. Sold in packs of 20. This is a limited purchase item.